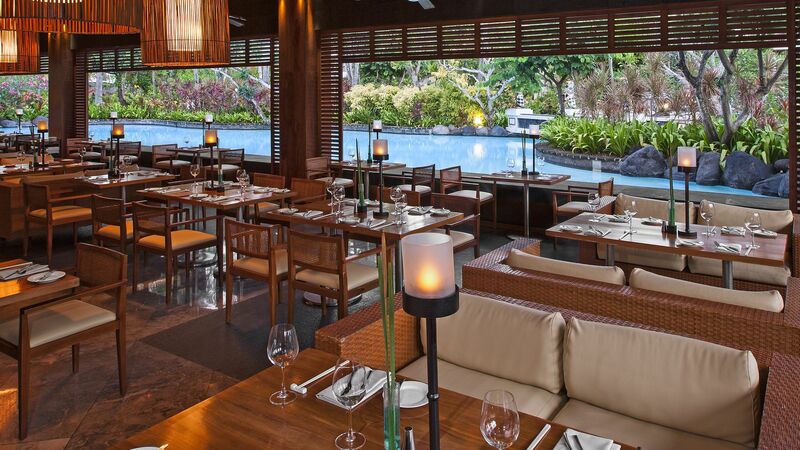 The Laguna, A Luxury Collection Resort & Spa, is located on the southernmost peninsula of Bali, in Nusa Dua. It’s a resort constructed to pay homage to traditional Balinese architecture with infused contemporary stylings, all from natural and locally sourced stone. Tropical gardens, natural tree-line canopies, and a large collection of lagoon-style swimming pools set the scene for luxury and relaxation. 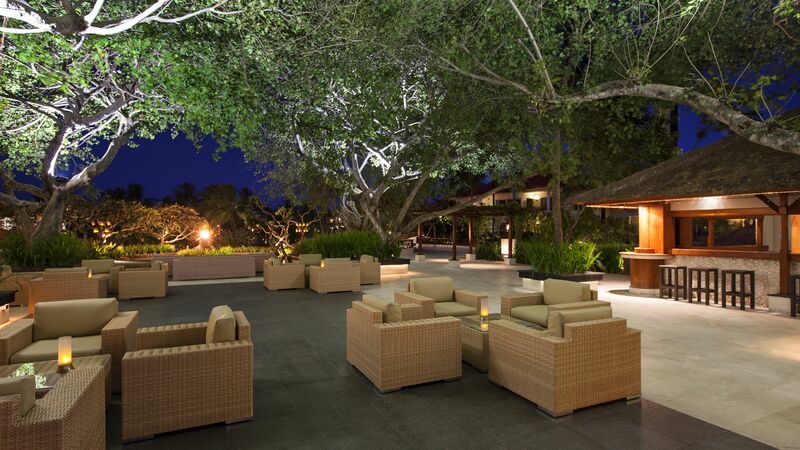 Among the grounds, the choice of six bars and luxury dining restaurants can be found in their own pocket atmospheres. Visit the award-winning Arwana restaurant located on the beach, or journey to the Banyubiru for an open kitchen pan-Asian extravaganza housed by the largest of the blue lagoon pools. With a 24-hour Butler Service, the award-winning Lagoon Spa complex, and direct access straight to the sands of the Nusa Dua beaches, this is a truly 5-star holiday experience where you can relax in serenity. Hotel children prices apply to the ages or 4–11 years old. The hotel offers the choice of 287 rooms. 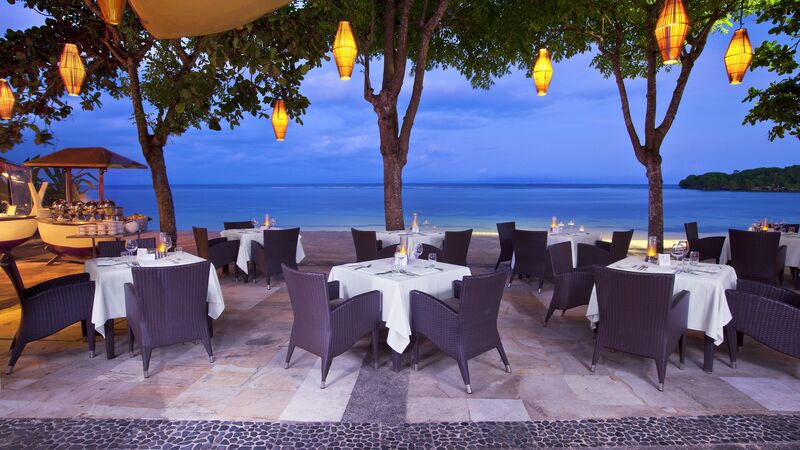 Set on the beachfront, the Arwana serves freshly caught seafood daily. Enjoy the panoramic views of the ocean while the restaurant’s award winning Sommelier works to pair your meal with wines from a premier international selection. Opens: 12:00 - 16:00, 15:00 - 17:00 and 18:00 - 23:00. Cornerstone is a tucked away casual eatery and delicatessen. Stop by and browse through the selections of authentic sambal (a traditional chili condiment), homemade ice cream, and a wide range of wines available throughout the day. The Cornerstone also serves up light meals, snacks and pastries. A wonderful fine dining restaurant with state of the art open kitchens that pour out into live serving stations offering guests a choice between pan-Asian, international and changing themed buffets. The Banyubiru also offers beautiful views of the hotel’s blue lagoon and tropical garden. Open: 07:00 - 11:00 and 16:00 - 23:00. Enjoy the Kulkul’s inviting drinks menu, full of in-house created cocktails and mocktails, and set alongside the beachfront. Light cuisine is served daily, and live entertainment is offered every night from the house band. 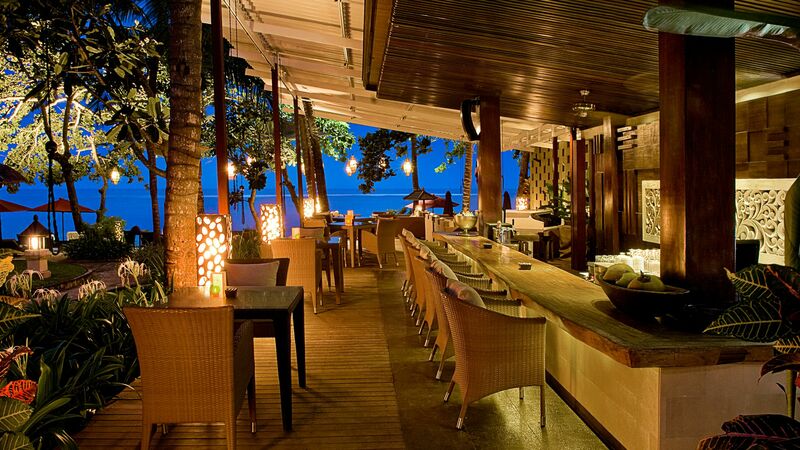 Relax in this outdoor lounge bar, shaded under a natural canopy of tropical trees. 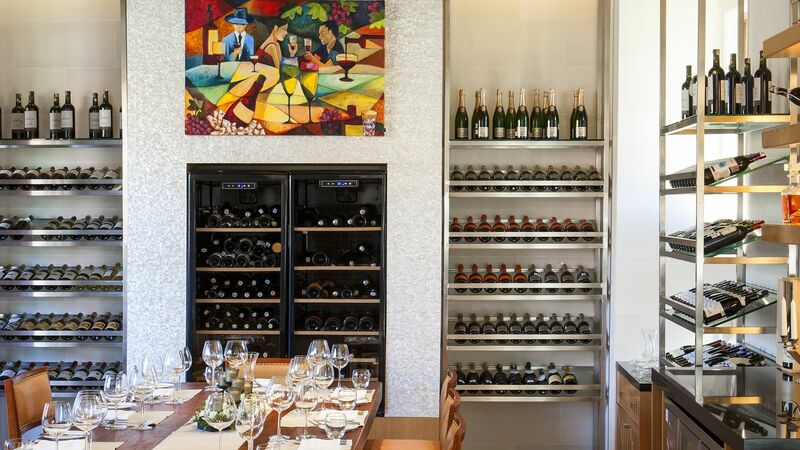 Indulge in signature champagne cocktails, local beers, or choose from a selection of fine wines. Located at the poolside of one of The Laguna’s many lagoon-style pools, enjoy a light meal and an extensive selection of drinks all housed under this quaint patio lounge bar. The Laguna hosts a picturesque expanse of seemingly endless lagoon-style pools across the hotel’s grounds. Along the 5,000sqm of pools there are constant little gems to be found. Jacuzzis whirlpools, miniature beaches for younger guests to enjoy, and waterfalls are dotted throughout the gardens. A short walk from the main hotel, you will find yourself on the white sandy beaches of Nusa Dua. Cabanas and sun loungers are available for guests’ relaxation close by to the Kulkul bar, which offers alcoholic drinks and soft refreshments. The main focus of the Lagoon Spa is the seven pillars of well being; Harmony, Beauty, Life Balance, Vitality, Aqua, Nature and Nutrition. It is these principles that form the basis of every treatment they offer. With signature treatments including the infusion of chocolate and natural spices, ground rice and chili, the Lagoon Spa is a five star Balinese spa experience. 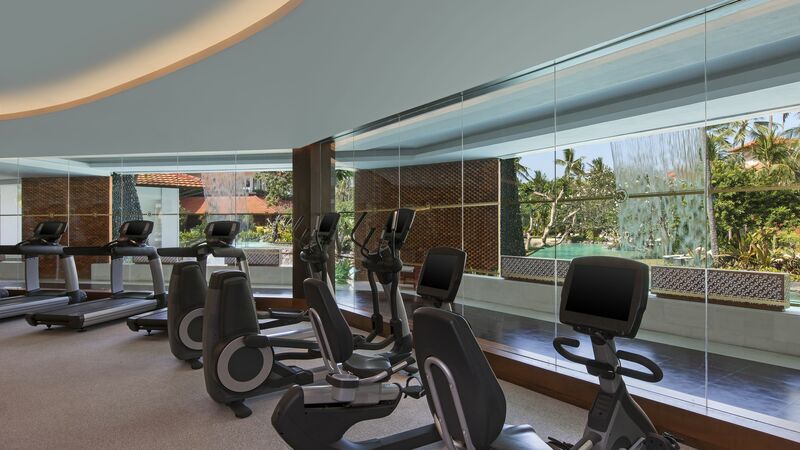 Centrally located and open 24 hours a day, the hotel’s fitness centre is a great place to let off some steam and get in a great workout. Guests can use the latest in gym equipment, various classes and personal trainers available upon request. Ages: 16 years and over. 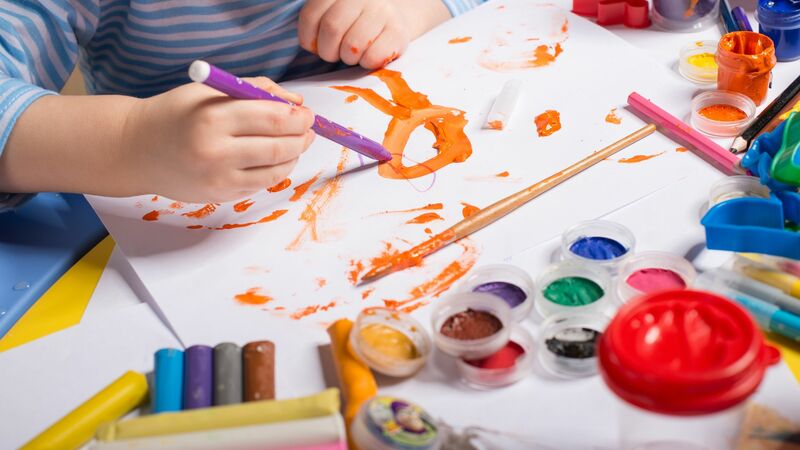 Over at the St Regis Resort, a sister property of The Laguna Bali, there is a Children’s Learning Centre for younger guests. Transport is provided for advance bookings. Nusa Dua is a small patch of land located on a small peninsula on the south coast of beautiful Bali. It’s home to a multitude of luxury hotels, where you can spend days exploring bars, restaurants and spas, as well as having some excellent independent restaurants and chic beach bars along the beach. The shopping centre is home to designer labels and boutiques, while the museum is ideal for culture lovers wanting to explore Bali’s fascinating artwork. 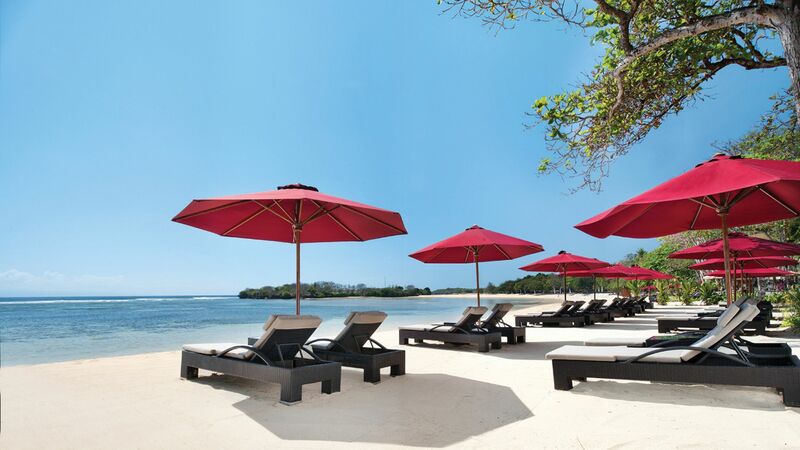 Nusa Dua’s beaches provide soft golden sands and plenty of opportunities to relax. Gega Beach is a stretch of sands where you can unwind, explore the sea, or even explore Pura Geger. This Balinese temple stands at the top of a cliff and is home to carved statues and beautiful interior architecture, as well as stunning views of the coastline. 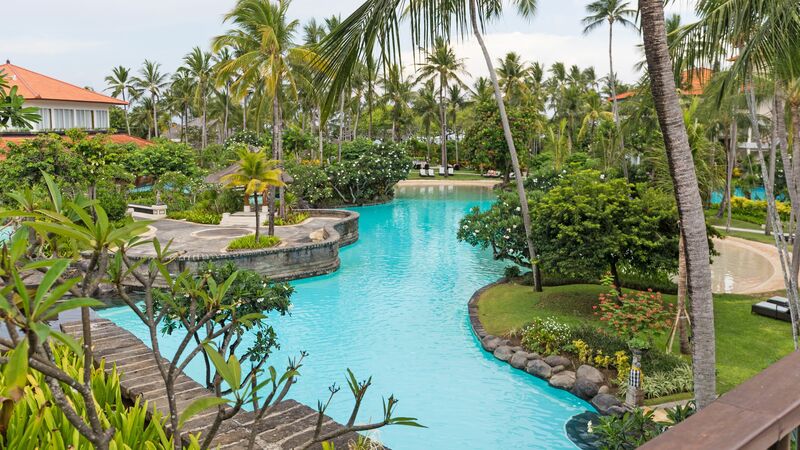 The Laguna, A Luxury Collection Resort & Spa, is 30 minutes from Bali Denpasar Airport. Deluxe Garden View Rooms are decorated in traditional Balinese style with contemporary amenities. Rooms feature one double or two twin beds, bathroom with an oversized corner bathtub and shower and a private balcony overlooking the lush gardens. Standard amenities include complimentary wifi, air conditioning, safe, minibar, flat screen TV and DVD player. Deluxe Lagoon View Rooms are decorated in traditional Balinese style with contemporary amenities. Rooms feature one double or two twin beds, bathroom with an oversized corner bathtub and shower and a private balcony overlooking the lagoons. Standard amenities include complimentary wifi, air conditioning, safe, minibar, flat screen TV and DVD player. Deluxe Studios feature one double or two twin beds, comfortable sitting area, bathroom with large corner bath and shower and a private balcony with views over the garden or the lagoon. Deluxe Lagoon Access Rooms are decorated in traditional Balinese style with contemporary amenities. Rooms feature one double or two twin beds, bathroom with an oversized corner bathtub and shower and are situated on the ground floors with direct access to the lagoons. Standard amenities include complimentary wifi, air conditioning, safe, minibar, flat screen TV and DVD player. Executive Suites feature an inviting lounge area, elegant dining room and a separate bedroom as well as a bathroom with a large corner bathtub and a separate shower and spacious private balcony with panoramic garden or lagoon view. The Hibiscus Villa is luxuriously appointed with rich furnishings and calming colours. With ample living space, dining area and spacious bathroom, the real enjoyment comes from its outdoor living space, complete with private pool and floating gazebo with daybed. Villa guests can make use of a complimentary buggy service through the gardens towards the beach, where reserved sunbeds await. One Bedroom Villas feature a spacious living room, dining area, kitchen, double bedroom, large patio with sun loungers and dining furniture and outdoor garden with private pool and inviting gazebo. Deluxe Family Garden View Rooms feature two interconnecting garden view villas and are decorated in traditional Balinese style with contemporary amenities. Rooms feature one double or two twin beds, bathroom with an oversized corner bathtub and shower and a private balcony overlooking the lush gardens. Standard amenities include complimentary wifi, air conditioning, safe, minibar, flat screen TV and DVD player. Deluxe Family Lagoon View Rooms feature two interconnecting garden view villas and are decorated in traditional Balinese style with contemporary amenities. Rooms feature one double or two twin beds, bathroom with an oversized corner bathtub and shower and a private balcony overlooking the lagoons. Standard amenities include complimentary wifi, air conditioning, safe, minibar, flat screen TV and DVD player. Save up to 15% discount on the hotel price booked 60 days prior to arrival for holidays between 01 April 2018 - 24 December 2018 and 04 January - 31 March 2019. Save up to 10% discount on the hotel price booked between 45 - 59 days prior to arrival for holidays between 01 April 24 December 2018 and 04 - 31 January 2019. Honeymoon couples receive one in room breakfast and a honeymoon gift per room per stay for holidays between 01 April 2018 - 31 March 2019. Guests staying for a minimum of 10 nights or more receive one 60 minute Balinese massage and one buffet dinner at Banyabiru restaurant for two for holidays between 01 April 2018 - 31 March 2019. Please call our Trusted Adviser to discuss your requirements as booking conditions may apply for the above special offers. We have just returned from a wonderful holiday in Bali. The Laguna was key to our holiday being so great. The hotel has a great balance between being luxurious with plenty of space, but also a feeling that there is always something happening. The staff are great, in particular I would like to mention Agus! He was just a great guy and was really happy to help everyone and very kind. Kris and Synthia were also great and were really lovely people. All the staff though were always so happy to help and kind. Made for a very nice experience. The hotel itself is great with wonderful balance of a modern hotel next to lovely beach and wonderful trees and plants that created a great atmosphere. I would genuinely thoroughly recommend this hotel for a really nice relaxing break. We were able to do lots activities from the hotel including surfing and visiting sites. We enjoyed doing some yoga. I was able to run along the sea front in the mornings and the gym is great. Overall 5 stars for sure! The resort grounds are large with a great layout. There are many pools and lagoons around the property to swim in. I also like the fact that some pool areas have a sandy "beach" area. The rooms are large enough but could do with a bit of an upgrade as the decor is a bit dated. The staff were very reliable and friendly and the price was worth it for the quality of the resort. It was a lovely holiday we experienced here in The Laguna. Nice lovely rooms with beautiful views.The staffs were extremely kind and very hospitable.Their kindest is highly appreciated.Everybody is smiling and greeting to us every time.The restaurant at breakfast area is also very accommodating.Lots of choices of food, fresh fruit, fresh juices. It is definitely one of the best resort we have ever been. We rented a cabana for our entire stay everyday and Mangku is very nice guy, he always look after us during the day.But in general every body is really kind. Extra service ,they exceeded our expectations. Thumbs up to the whole The laguna staffs. We would recommend this resort to anyone who wants to have a memorable vacation. My husband and I chose The Laguna for our honeymoon trip to Bali. From the minute that we stepped into the hotel, we were treated with 5 star service. Everything at this hotel was nothing but incredible and the attention to detail is astonishing. The staff did everything to make our stay memorable and perfect. We booked a spa package for our honeymoon and they literally pampered us with our package, but also by giving us a free 30 minute massage and flowers to celebrate our honeymoon. The spa facilities are beautiful. There is nothing else to stay except perfection. Thank you Laguna making our honeymoon incredibly special. Wow! We are actually getting ready to check out and are already sad to be leaving this place. This place is absolutely amazing. 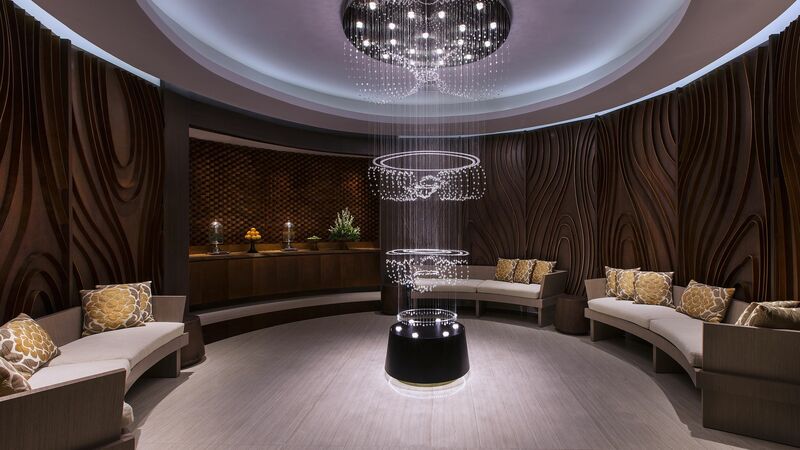 From the moment you walk through the lobby you are greeted like family. The people that work here are just amazing. They make you feel like you are their family. Besides that the hotel, food, beach and rooms are fabulous. I can?? ?t say anything negative about this hotel. I would highly recommend the swim up room as it is a cool upgrade. Breakfast was delicious as well as lunches and dinners. Each place has its own unique flavor. My wife and I absolutely loved it here and will be back one day!